We’re now scheduling our 2019 Summer Studio tour. If you or your studio would like to take part in our journey, inquire HERE for more information! An in-studio training experience geared for growth - artistically, physically, and mentally. No mock auditions. No video shoots. Why? This is not your typical "industry training" intensive. 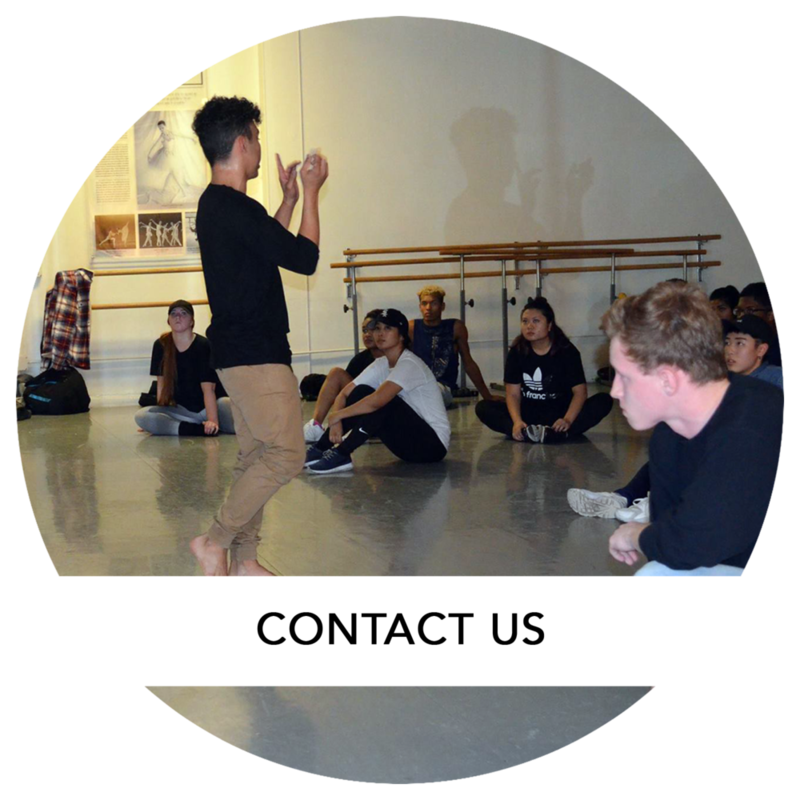 We strive to create a non-competitive, comfortable class environment where dancers can focus on the discovery of self-awareness and living with a sense of purpose, strength, and guidance. Every event includes our interactive seminar, “Mind of a Maverick". This promotes effective life habits and educates dancers on how to make the most out of each and every day. After the last class of the day, sit down with our educators for an open reflection on what you and your peers have learned. Parents are more than welcome to join us as scholarships will be awarded. We're now scheduling our 2019-2020 studio tour. If you'd like your city or studio to be a part of the journey, fill out the form below and we will gladly make it happen! Our family consists of dancers and choreographers who are passionate about one common thing - investing in the growth of others. Say hi! We're here to help. Anything we could help you with? Covering crucial topics such as analyzing your core values and making the most out of any situation, "Mind of a Maverick" is our personal development resource we created to provide guidance for the leaders of the next generation. As we head into our fourth season, it's always a pleasure to look back at the moments that got us here. "The only way for you to grow is to truly expose who you are."